Compact splicing connectors; 2-conductor connector; with operating levers. UL approved for 12 -24 AWG conductors, solid or stranded. 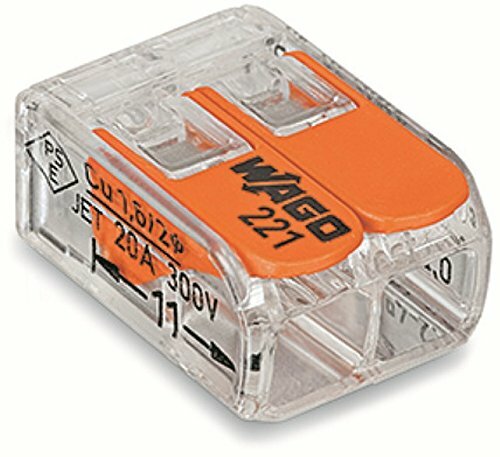 Replaces standard wire nuts for a more secure and robust connection.